The EXP packs from Crye Precision are unique and interesting. They have slick exteriors designed to blend into urban locals and are built with expansion and modularity in mind. This EXP 2100 (in Ranger Green) starts at 26l and expands to 34l and 50l and up to 29" in length via two zipper expansions which tuck out of sight when not in use. The pack features top and side grab hands, a dual side entry laptop sleeve, removable waist belt and a rigid frame sheet. The shoulder straps are quite light, so I'll be curious to see how they hold up over time and carry under a load, but under moderate to light loads they seem OK. 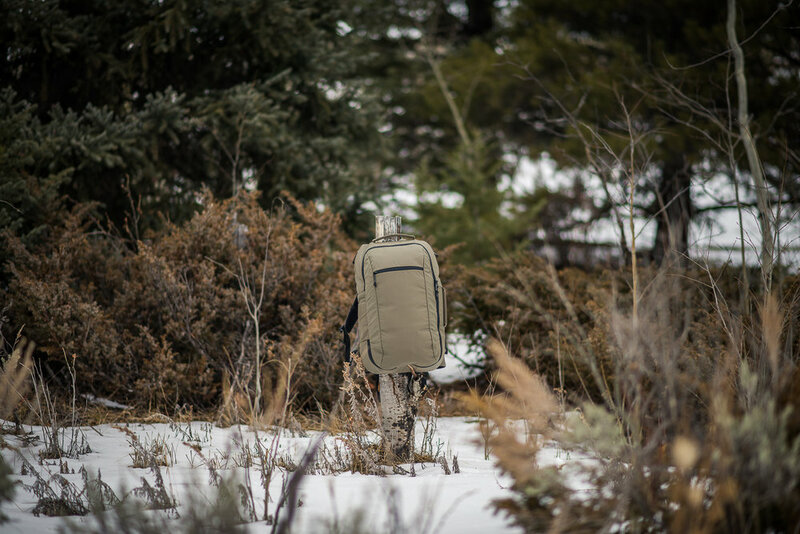 The Crye EXP 2100 is worth a look if you need an expandable pack that remains discreet in various environments. The first expanding section opened up. This front pocket is fleece lined and about 10-12" deep. Inside are the expanding sections folded up into the main compartment. Here you can also see the attachments for a rigid MOLLE compatible panel that CRYE sells separately. These are just webbing strips with snaps. CRYE missed an oppoertunity to make these loops to increase their versatility and use with other third party accessories. 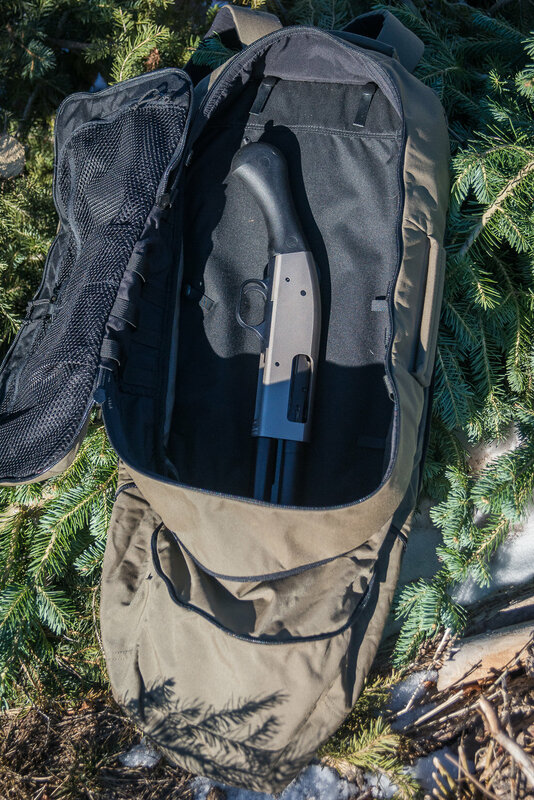 With both expansions open, the pack swallows up the Mossberg Shockwave. Both side walls of the pack have webbing for attaching MOLLE pouches. The lid has three mesh zippered pockets. Here are a Kifaru Tombstone and Maxpedition Micro organizers. Under the previous two pockets is a larger pocket that has 1-2" depth to it. My puffy jack fits well here.